How Can You Achieve The Perfect Drive? The question is asked often at pro clinics: “How can I throw the perfect drive?” The answer given is nearly always the same, in that it takes a great amount of practice and dedication before having the skill set to execute these seemingly unattainable shots. But rather than working ourselves to the bone to reach perfection, perhaps there’s a deeper lesson to be learned. 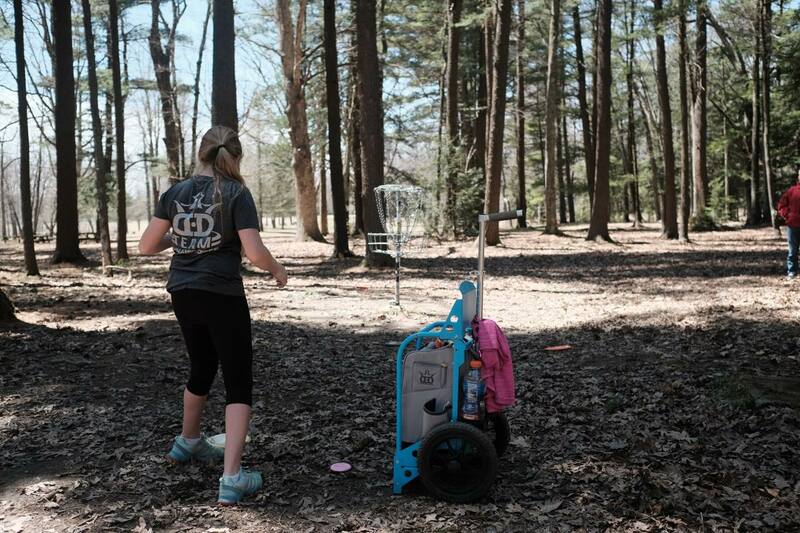 We’ll guarantee you one thing - Paige Pierce did not have perfect form three years after she played her first round of disc golf. It’s a safe bet that most of the sport’s top professionals didn’t reach the ability to throw a perfect drive until they’d logged countless hours on the course and on a practice field. Even now at the highest levels of disc golf, few players would probably say they have perfected their game. However, whether you’re a casual player or you have your eye on reaching greater heights, there’s no reason that you can’t put the time and energy into trying to execute perfection. After all, without setting high goals, it’s harder to make progress. In addition to focusing on the mechanics of your drive and making sure you’re dialing in your body movements as best as you can, it might be beneficial to take a moment and think about what “the perfect drive” actually means to you. Although very few people gain the skill sets needed to throw perfectly, even then they don’t throw a perfect shot every single time. Does your definition of perfection mean that you hit your line every time the disc leaves your hand? Is a perfect drive one that reaches 500 feet consistently? Or what about a perfect drive being defined as a shot that impresses anyone who is watching? Since we all have different meanings behind the word perfect, it’s nearly impossible for a professional player to tell you the secret sauce behind a perfect drive. What’s perfect for them may not be ideal for you. Perhaps one of the best things we can do as disc golfers is remove the word “perfect” from our vocabularies. After all, the whole idea of playing this wonderful sport is based around your own personal improvement and always doing your best, rather than hitting some vague goal of what “a perfect drive” might be. We’d love to know your take on how to achieve perfection, whether it’s with our driving or our putting skills, or even our mental game. Given enough time, energy, and dedication is perfection attainable? Are we hindering ourselves as athletes by aiming for perfection which is rarely achieved and means something different for everyone? Tell us what “the perfect drive” means to you and how you’d go about accomplishing it in the comments below. If you’re just joining us on this blog series, we’ve been reviewing the best discs for newer players. Our last post focused on the fairway drivers that will give you speed and consistency when you have slower arm speed or not a ton of power. Now we’re focusing on the midrange options available to players who need a disc they can rely on for upshots and shorter holes. Honing in your midrange game is essential to shaving strokes off your score - even if you throw an errant tee shot and aren’t great at putting, a developed upshot can help correct your mistake and put you right under the basket for a drop-in. Here’s a look at some of the best discs for your bag. If this disc ever went out of production there would be rioting in the streets, it’s just that popular! Crafted to be a very reliable midrange, it stands up to wind with ease and will make you look like a pro no matter what your skill level. 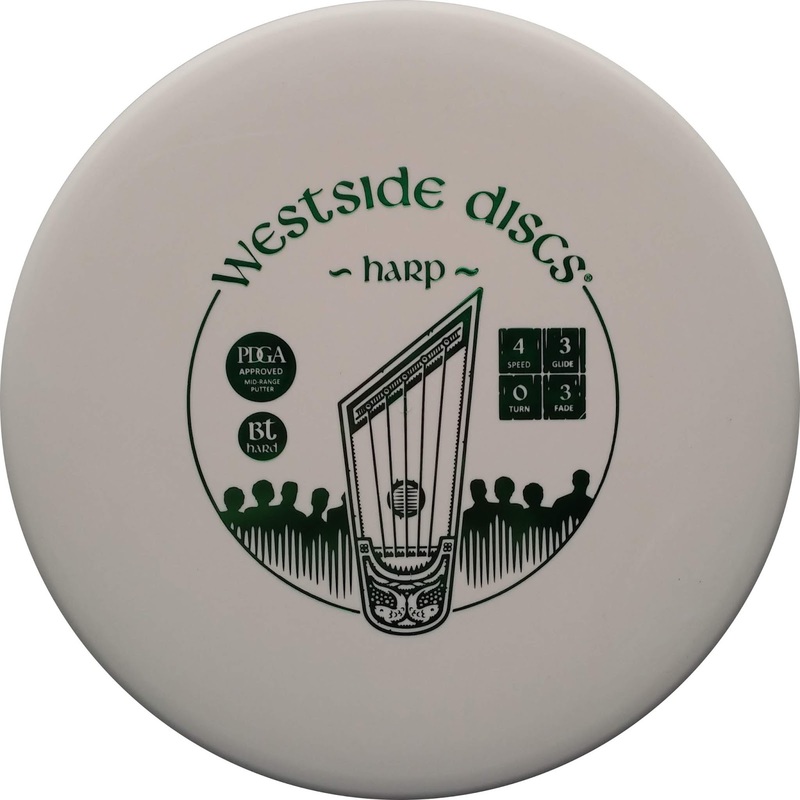 As if you needed more convincing, the Westside Harp is a favorite of 2x World Champion Ricky Wysocki. We’ve even created a special edition Burst version that allows you to use the same tools that the pros use for success. Are you looking for a super straight midrange that you can depend on time and time again? The Compass by Latitude 64 will quickly become your go-to approach disc based on the way it flies and how it feels. Designed to comfortably fit in nearly anyone’s hand, it allows you to grip it in a natural way. Whether you’re looking to throw a hyzer, anhyzer, or a straight line directly at the basket, the Compass will fly exactly how you want. Shorter holes may even inspire you to throw this disc off the tee box for increased accuracy. A favorite of both professional and casual players alike, the EMAC Truth by DD has a depth unlike any other midrange out there. 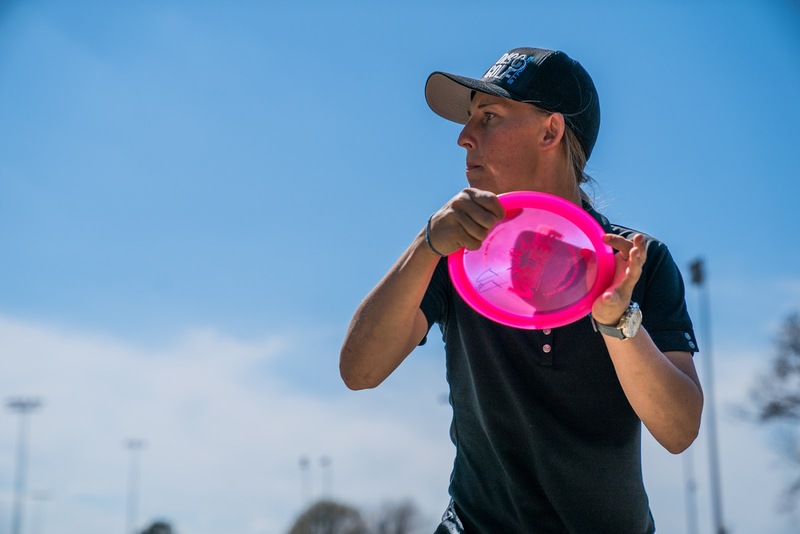 We like to think that this piece of plastic reminds you of what disc golf is all about - watching your disc soar through the air in perfect flight. Ask any pro out there what midrange they’d count on when the stakes are high, and they’ll tell you the Truth. Not a pro player? That’s ok, as the Truth is easy to throw no matter your skill level. Add it to your bag and get to know this EMAC version as your scores drop lower than ever. 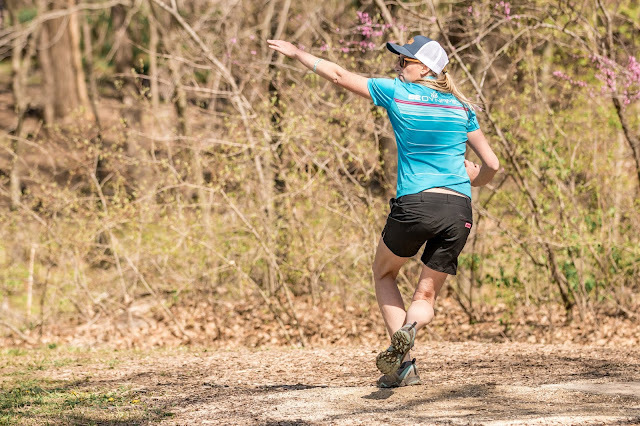 Used by Paige Pierce, you can throw your own version commemorating her 100th PDGA win. Midrange discs are essential for anyone’s disc golf game, whether you’ve just started playing or are a seasoned professional. 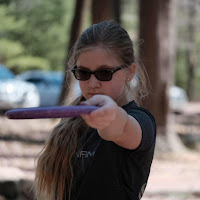 Which discs do you rely on when you need to throw a shot that requires an immense amount of accuracy? Let us know what your favorite midrange is in the comments below! Disc Overload - What Do You Do With Too Much Plastic? 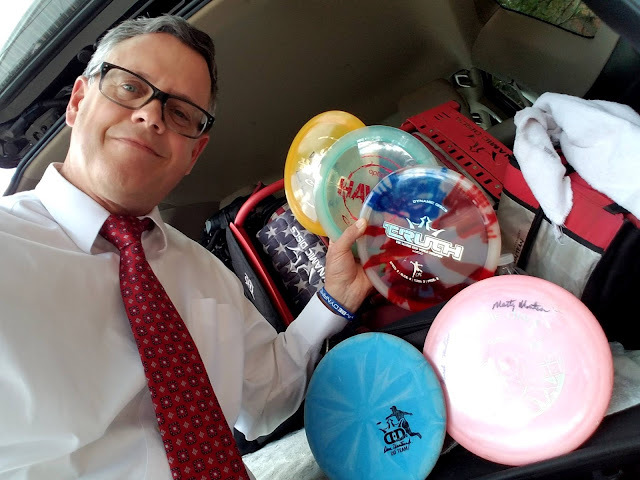 Some might argue that there’s no such thing as too much plastic, but there does get to be a point in every disc golfer’s lifetime where you just have more discs than you know what to do with. Whether it’s an issue of storage space or your significant other telling you that you’ve become a hoarder, you might find that you need a solution for all of your stuff. Keep them: If you just can’t part with any of your plastic, keeping them is a logical conclusion. But where? Those who are limited on space or just have too many discs to manage can take advantage of our plastic storage bins that hold up to 40 discs depending on the type. They stack easily and are great for traveling too, so you’ll always have your beloved plastic within arm's reach. Give them away: Players who have more backups than one individual will ever need may consider simply giving away some of their discs. Newer players really appreciate when a friend or even a total stranger wants to give them a few discs as it spreads the love of the sport to others. What a great way to show how awesome and supportive the disc golf community really is! 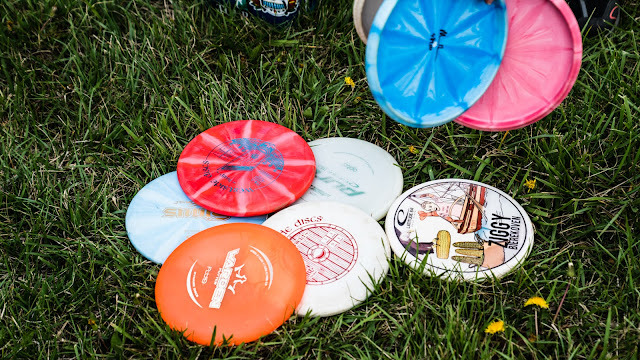 Trade them in: Whether you visit a store that sells discs or you simply meet up with your friends for a round, why not trade your surplus plastic for something you’ll actually throw? There’s a good chance that over the years you’ve collected discs from players packs that you’ll just never use, so perhaps someone else will and you can get your hands on a mold you really like. Sell them: If your significant other doesn’t understand your obsession with disc golf, this might be their number one choice. In all honesty, if you just have so many discs that you don’t know what to do with them, selling some might be a good option. 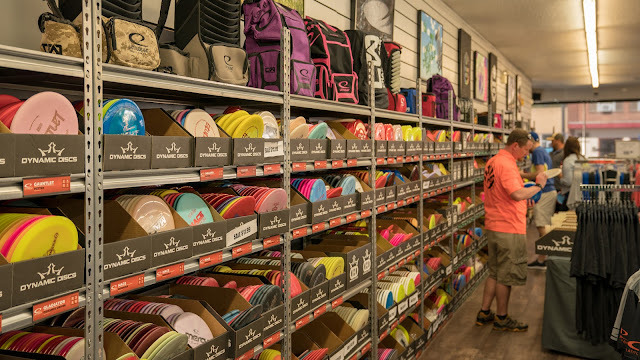 Try visiting a local sports store to see if they have a buying program or post your discs online for a wider reach. Hang them: Many players we know have a sort of disc golf shrine, where their ace discs, as well as special stamps, end up on the wall instead of in their bag. This option might be nice if you have a lot of discs that really mean something to you on a personal level, and of course, if you have enough wall space. What do you do when you have a disc overload situation? Are one of the five above options your default, or do you have another creative idea? Share with us in the comments below how you handle having too much plastic - that is if you think there’s ever such a thing. It's that time again... that's right, it's Trilogy Challenge time! The 2018 Trilogy Challenge season is almost upon us, so we wanted to give you a heads up and take a peek at the three discs that will be included in this year's events. In later posts, we'll get into more detail about the Maiden, this year's putter, and the Patrol, the 2018 midrange, but today we're getting an in-depth look at the Musket. A Latitude64 fairway driver, the Musket will be a great addition to anyone's bag. When you have two minutes to spare, watch this video of Robert and Bobby throwing the Musket. It gives you a great idea how this disc will fly for you if you're a casual player or if your skills are at a professional level. Stay tuned to learn more about the other two discs in our 2018 Trilogy Challenge, and visit the Trilogy Challenge website to find an event near you! 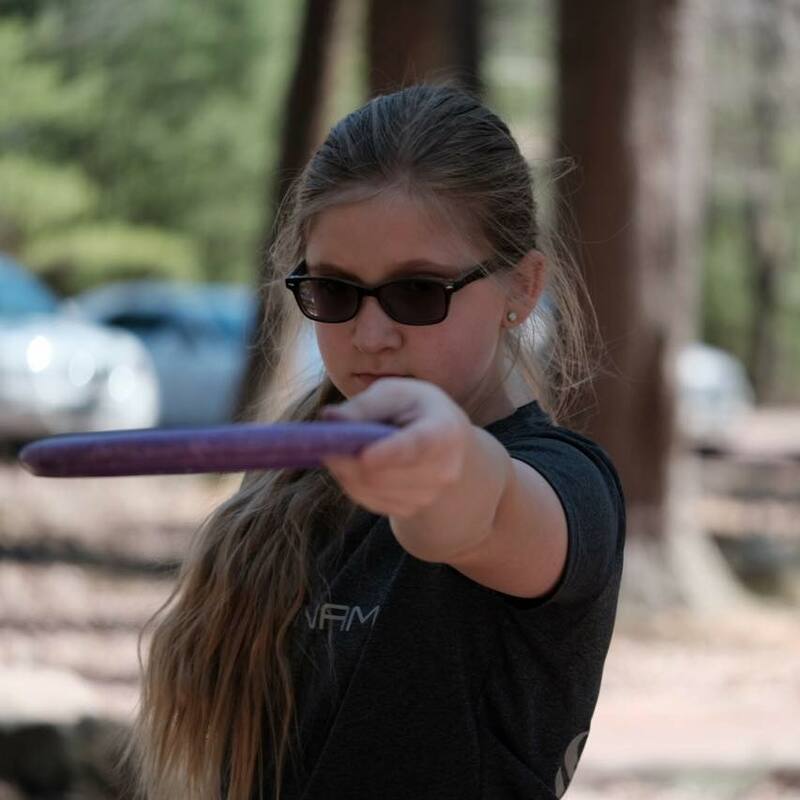 It's Almost Summer - How Do Your Disc Golf Habits Change? Depending on what part of the US you live in, you may have been experiencing nice weather for months already, or nature may just now be showing you the first signs of sunshine. Either way, now that daylight savings time has happened and the first day of summer is only moments away, it’s often considered prime disc golf time for most. But what exactly does that look like? It certainly varies depending on your specific lifestyle, and factors like your job, living situation, relationship status, and more can affect how often you are able to get out and play a round. Let’s look at some of the ways you can get creative and change up your disc golf habits. Die-hard disc golf lovers will often wake up early and put in some time around a basket before heading off to work. Unfortunately, when this happens during colder months, it requires bundling up in tons of layers and freezing your face off while you attempt to sink putts. Some of us are fortunate enough to have a basement or garage to use, but that limits the ability to practice upshots and drives. Now that the weather is heating up it means that mornings aren’t nearly as chilly. You could get up with the sun and, depending on what time you have to be at work, comfortably practice your game. If it’s a weekend or a day off, these warmer temperatures mean you can hit the course that much sooner in the day and may allow you to squeeze in an extra round before calling it good. This is an obvious one, but daylight savings time has a huge effect on a disc golfer’s life. In most places in the nation, you can gain an extra 3+ hours of sunlight when you compare the dead of winter to the middle of summer, and that means a lot of extra golf each day. Get off work at 5? Head home for dinner then take the family out to the course for a fun and casual round. Speaking of kids, with school almost out you’re given a great opportunity to keep your little ones active and engaged during the summer. Play catch with a putter in your backyard, take them with you to your local weekly, or even let them caddy for you during a tournament if they’re old enough. Without having to worry about nightly homework and perhaps giving a little more leeway to the idea of bedtime, you can fully immerse your children in the sport that you love. Fairweather disc golfers rejoice! 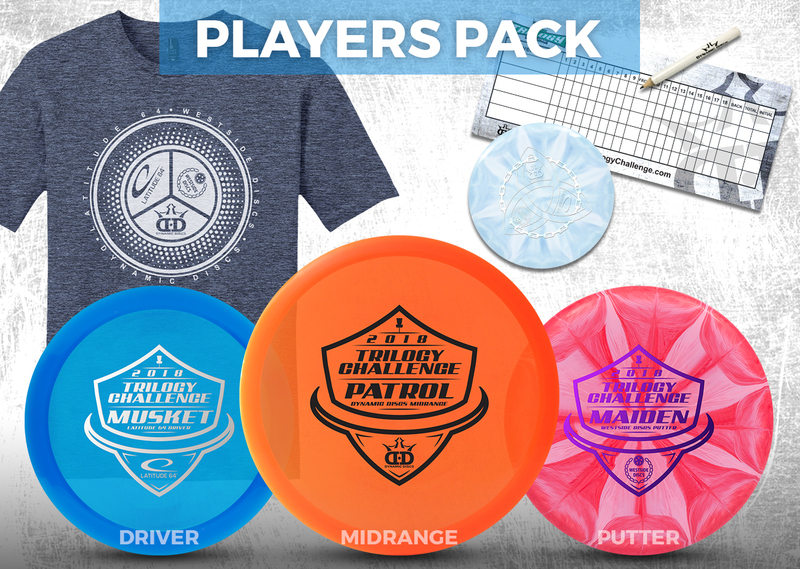 Summer is almost here and it’s time to dust off your bags, shine up your discs, and put on your favorite DD gear. For those of you who have been playing all year long, at least you don’t have to put up with snow and rain for the next few months. 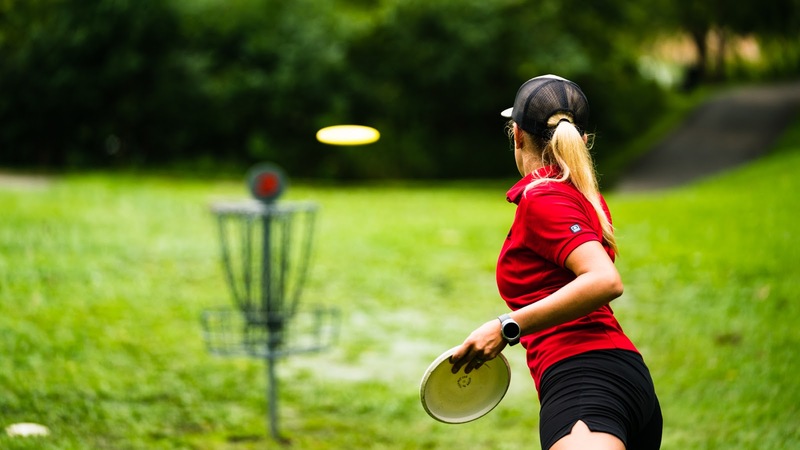 How do your disc golf habits change during summer? Let us know in the comments below. Are you someone trying to break above that 900/925 rating threshold? Latitude 64 Havoc or Air Havoc – Yes, I can pump my Air King & Destiny about 340 feet. But for me, the Havoc (a little shorter at 320 feet) provides more accuracy (i.e. slightly more stable than my Air King) and a dependable flight that will not easily flip on me, and it can withstand a moderate headwind. The shape of its edge feels perfect for my hand. Consistency & accuracy is much more important than the extra 20 feet I might achieve by throwing hard as I can with the highest speed disc. 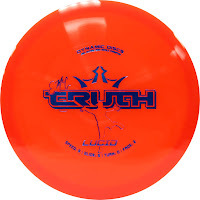 The Havoc is the driver that lands me in the fairway the most often of any disc I possess. I save strokes by purposely strategizing for the safer drive to set up the approach. 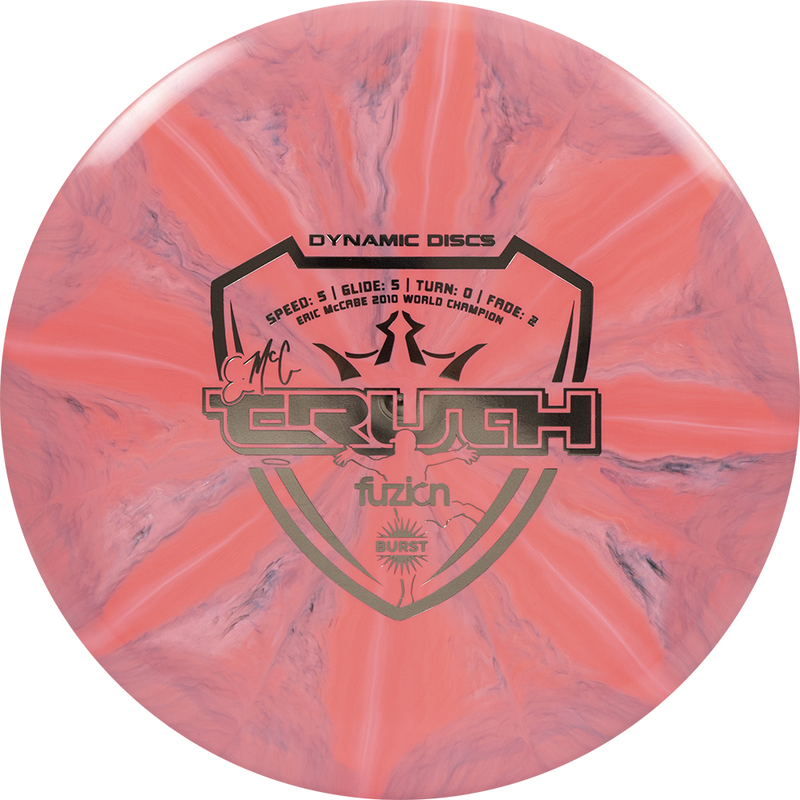 Dynamic Discs EMac Truth – Extremely versatile & solid mid-range that, again, provides one of the most consistent flight paths (i.e. I know exactly how it will fly). It will not flip on me but I can certainly manipulate it to achieve that “S” shot when needed, and it will fight moderate headwinds. Unpredictability is rarely an issue. I love the grip too, and I would have to admit I’ve thrown way fewer bad shots with the EMac Truth compared to my other mid-ranges. 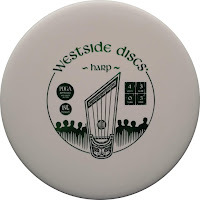 Westside Discs Tursas – What a straight mid-range disc and boy can it hold an anhyzer line well. On wooded courses with tight lines, this disc is pure gold. Nobody needs to hit a Home Run on every shot while playing difficult holes, so use the Tursas to keep your disc in play and thus improve your overall score in the end. If you’ve never tried this disc, you are in for a pleasant surprise. 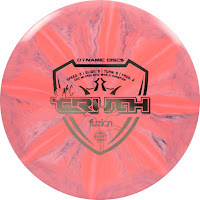 Dynamic Discs Warden – Putting practice is a must, keep several Wardens in your stash, and practice more! Never seen as much consistency when thrown hard (or softly) and putting on my intended line. In sticking with this disc, and learning it, my putting has improved significantly over the last few years. Love its surface texture, and overall I’m highly satisfied w/ the results. Again, this article is primarily for those who are trying to break into the 900’s and perhaps a bit higher. And as for my all-time #1 tip for breaking & staying above that 900 barrier? Practice the short game at least 2/3rds of your total practice time. Just do it. Although many people can drive a greater distance than I do, it has been the short game that allows me to still shoot the better score. Now get out there, Be Dynamic, and make a difference in your game!